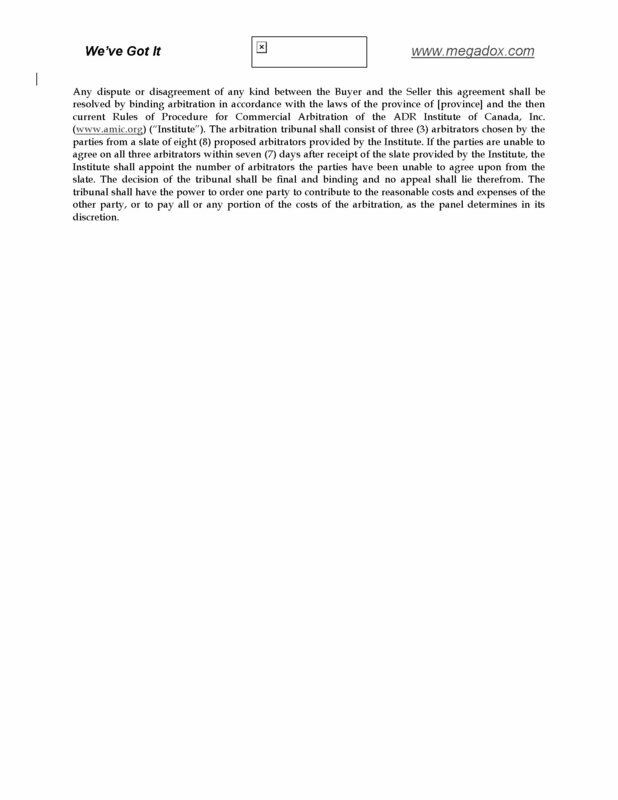 Download a free Arbitration Clause for Canadian agreements and contracts. 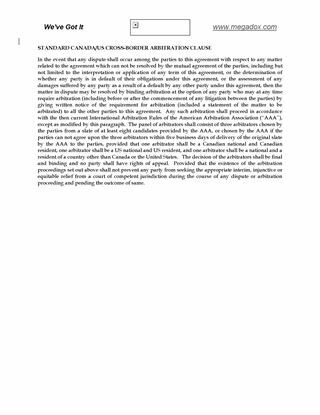 The clause provides that the arbitration will be governed by the current Rules of Procedure for Commercial Arbitration of the ADR Institute of Canada, Inc. This free Arbitration Clause is for use in contracts which will be governed by Canadian law. Establish a strategic alliance between two companies involved in similar or related businesses with this template Business Alliance Agreement for companies operating in Canada. Both parties agree to cooperate in identifying prospective customers, representing products and providing technical support to customers. Each party will be treated as the general contractor for projects in which it proposes the goods and services of the other party. Either party may terminate the agreement on proper notice to the other party. Each party shall be liable only to the extent of its respective interest. Each party shall treat all information received from the other party as confidential. 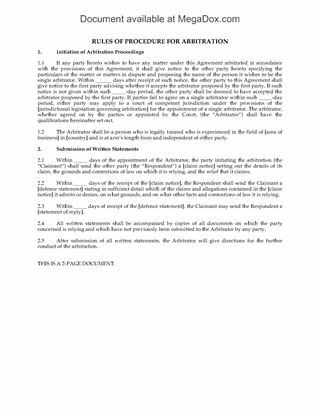 The parties agree to arbitration in the event of a dispute. 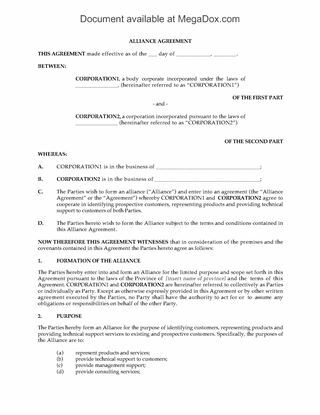 This Canada Business Alliance Agreement template is completely customizable to fit your business needs.